I have never liked green bean casserole but this looks delicious! Yet another recipe I will be trying soon!! Thanks, this looks soooo good!! I buy those onions once a year and don’t worry about it. :). looks delish , Thank you ! I never heard of green bean casserole. Bet it would be extra tummy mixed with some crumbled bacon. I never liked green bean casserole because of the cream of mushroom soup or the fried onions, but this I would like! Do you use fresh or dried onions? My husband loves green bean casserole. I’ll have to make this for him! I love this too! We do add mushrooms most years too, so it is a bit more like the ‘original’. I’ve also though that if I was really gung-ho I could make homemade onion rings, then cut them up for the top. Would be yummy for sure! Otherwise adding some sliced almonds gives back some crunch too. But homemade is the way to go! And your version looks delicious! Mix cornstarch, salt, and pepper in a bag or bowl with a lid. Add onions (if using the bowl, put he kid on at this point) and shake until the onion is covered with cornstarch mixture. More cornstarch may need to be added to ensure all onions are covered. (If there is extra cornstarch, pull onions out of the mixture and leave excess cornstarch in the container.) Heat butter in pan until warm, place onions in pan (this may need to be done in two batches) and cook until crispy and brown. At this time, flip the onions over and add 1 tbsp of butter if the pan is dry. Cook until crispy and brown. Oooh! I might eat these fried onions plain! Yummy! Have you ever tried these on burgers? Red Robin has a burger that which has onion straws on it and I think your recipe would help me make something similar at home. Yum! This is one of my favorite casserole. Thank you, Laura! Now that looks tasty and easy, thank you for sharing! This looks and sounds easy and very nummy! I love real butter, I love cheese, I love your blog, and I love you. BUT – my green bean casserole MUST be made with cream of mushroom soup and store bought fried onions. I’m sorry we must part on this matter, but it’s just the way it has to be. I’m sure your healthy version is simply delish, but I just don’t think I could handle making Thanksgiving Dinner if I didn’t have this good old standby to look forward to. I’ll eat extra veggies to make up for it. Rich blessings to you and yours! 2 of those are sons who are now lawyers after home schooling through highschool AND earning BS and BA’s online, before attending law school. It CAN be done! I love this series and I’m going to make the freezeable recipes as you post them so I have them ready to go at Thanksgiving time. Never thought about freezing the Green bean casserole. What a great idea. Will make hosting so much more enjoyable! Will also try Rhonda’s fried onions when I have the time! Thank you!!!! That looks delicious! Unfortunately I think my extended family is way too attached to the original recipe for me to even suggest changing it for thanksgiving, but I’ll have to try it for a regular dinner one of these days. Thanks for the recipe! Having fun getting my food ready. 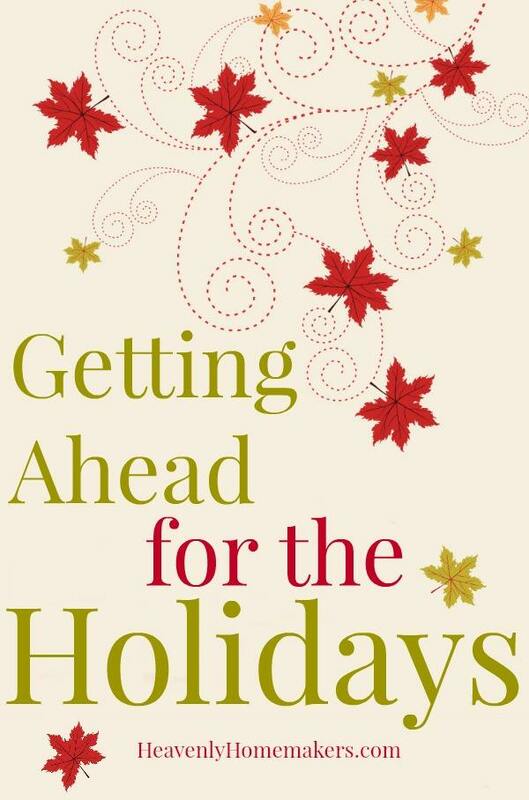 Yum – can’t wait to try this one out before Thanksgiving! Looks good. 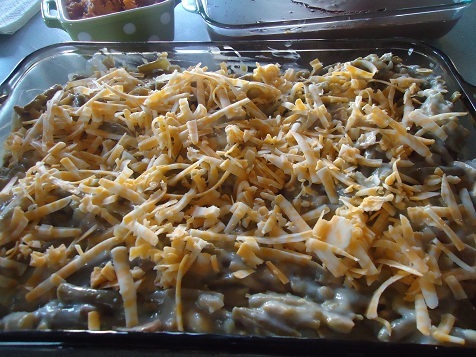 I’m going to have to give this casserole a try with the cheese instead of the onions. Oooh. I’m going to respectfully push back on your cooking method for this one. I find that when I cook veggies once….then reheat them in a hot oven, they turn to mush. For a dish like this, I would either a)parboil the beans, if using fresh, the immediately drain them and cool or b) defrost the frozen beans and drain off the water. Then add them to the sauce, put toppings on and freeze. This will keep the beans from turning to army green mush when cooking. I’m so glad your homemade cream-of soup freezes so well! It’s been my #1 favorite whole foods recipe because it’s such a great way to convert so many favorite recipes! Green bean casserole had never been a favorite, but this version looks great. May have to try it this year. Thanks! Please forgive my ignorance but since you have made this before … please tell me if the green beans are “mushy” upon reheating? 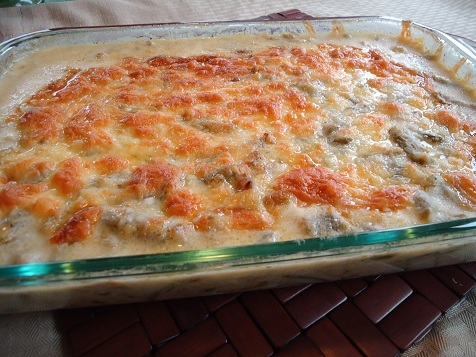 I do love green bean casserole… I would use this recipe any old time. I might actually even prefer it away from the distractions of the loaded Thanksgiving table, so it could really be appreciated. ..
That looks – and sounds – delicious! I’ve got to try that. Sadly, I am the only one in my household who likes green beans, so I haven’t made this the last few years, even though it is one of my very favorites. I think I would miss the crunch on top – some nuts, maybe? Thank you for the recipe. MSG is not my friend and just about every ingredient in the other recipe has MSG in it. I love the taste, but feel really awful afterward. We have lots of green beans to use so this would be a great casserole to try with them. This looks so good, I’m not sure I can wait until Thanksgiving to eat it! Thanks for the recipe! 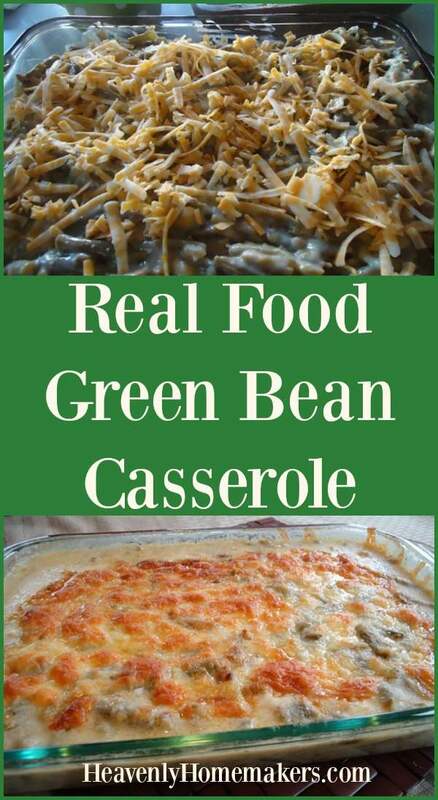 I”m not a big fan of green bean casserole but I’m willing to try this. Looks like one yummy casserole! This is something I love and I’m glad to see some variations that will improve my recipe. I think I’ll also try Rhonda’s fried onions with my homemade mushroom soup. We love green bean casserole but it is not on our Thanksgiving table. We wait a day or two and make it using leftover turkey thown in to make it a one dish meal. This recipe is great! I halved it to try out & added panko breadcrumbs to the cheese on top during the last 15 minutes of cooking. This made for a crunchy topping & the fried onions were not missed. Trust me, you want this on your Thanksgiving table. Thank you for this one! Thanks in advance! Simply love your recipes! Especially the chicken patty one. And muffins. And probably all of them ??? ?